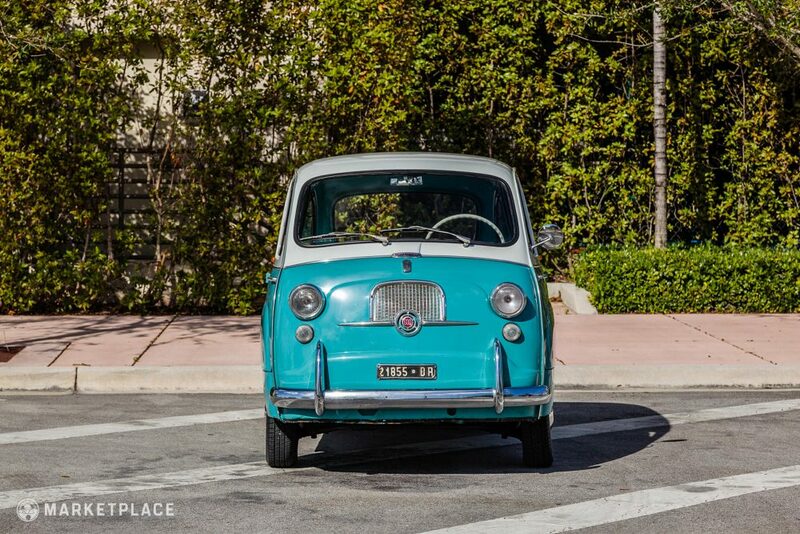 Aiming to compete with Volkswagen’s Beetle and Renault’s 4CV, Fiat introduced the Seicento compact car in 1955. 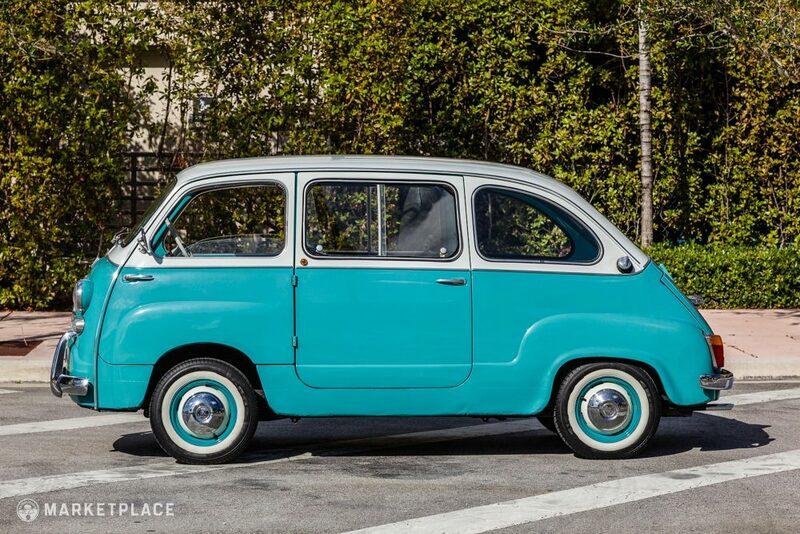 Better known simply as the 600, this new ten-foot seven-inch-long four-seater was Fiat’s first rear-engined vehicle, powered by a 633-cc inline-four. 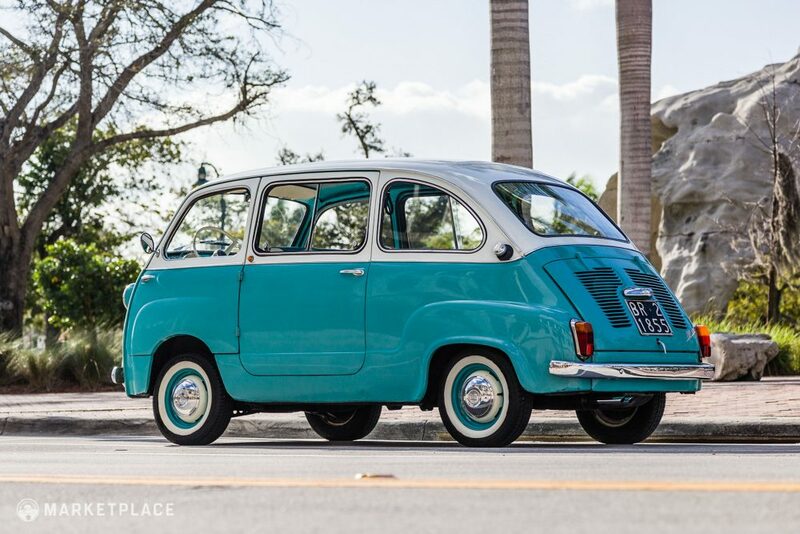 Although the motor was quite small, the 600 was capable of reaching around 60 miles per hour with a good tailwind, thanks in large part to its feathery 1,000 pound curb weight. 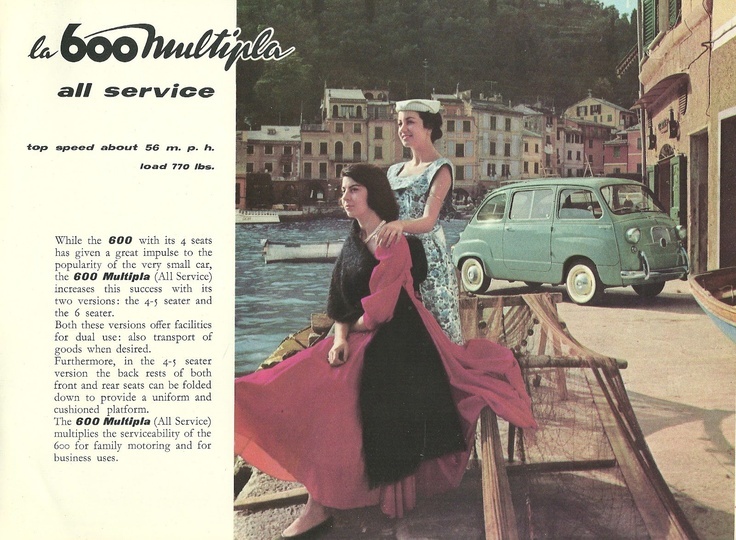 But sheer speed was never the selling point of the little Fiat. The 600 was built as an inexpensive means of transportation for the masses. 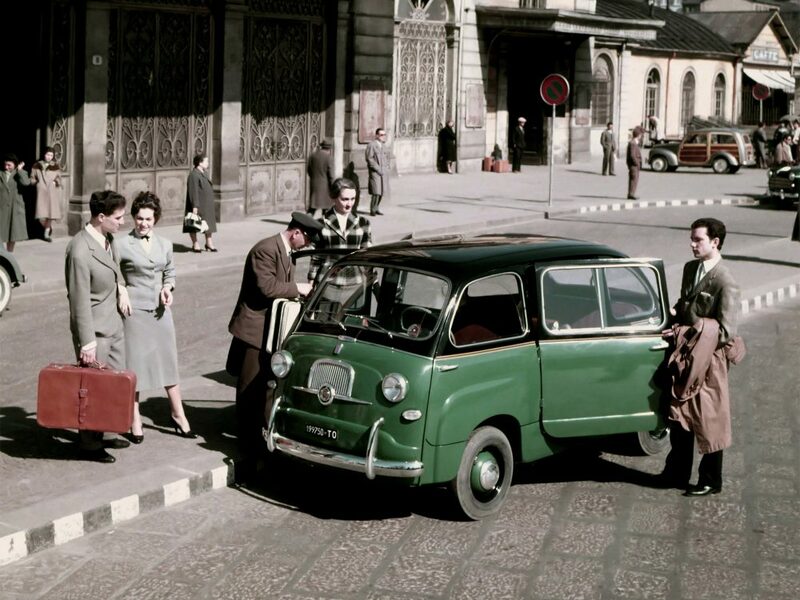 From its 1955-1969 production run, the Turin Mirafliori plant cranked out nearly 2.7 million of these stylish Italian city cars. 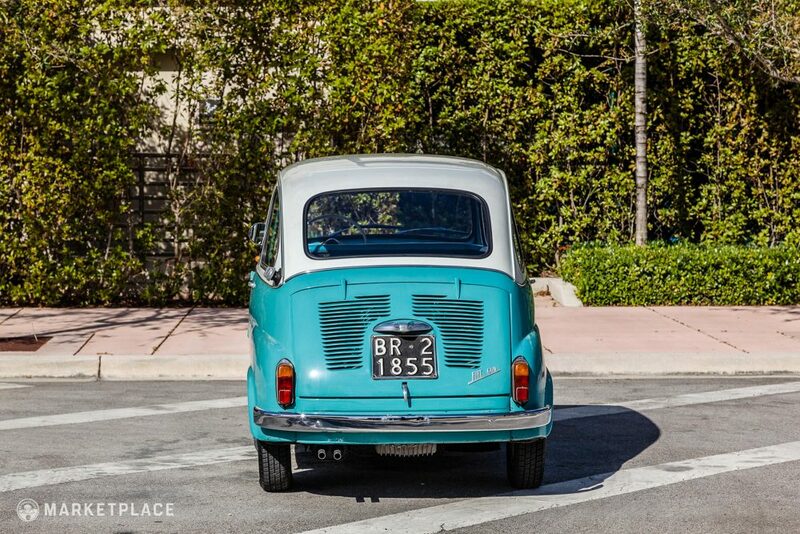 During the 600’s peak manufacturing period, it’s said that Fiat was building nearly 1,000 per day. 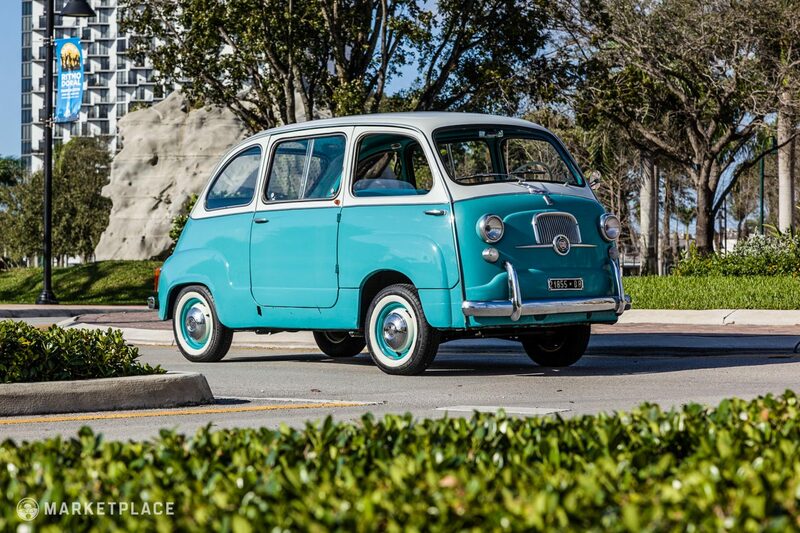 By the sixth assembly year, the 1,000,000th Seicento rolled off the line. The 600 rode on a single, double-mounted leafspring and gas shock front setup, and a coil-over-shock independent rear suspension. 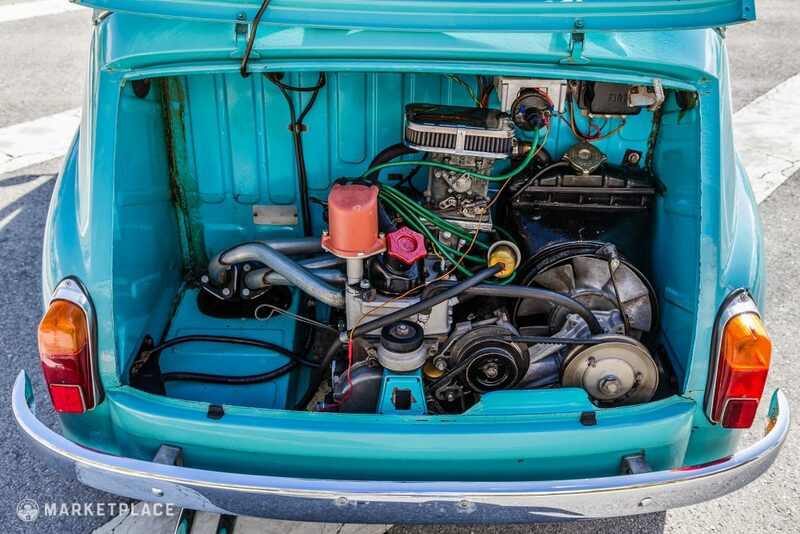 A four-speed, three-synchro gearbox was standard, and the powertrain was water-cooled, unlike its air-cooled competition at the time. 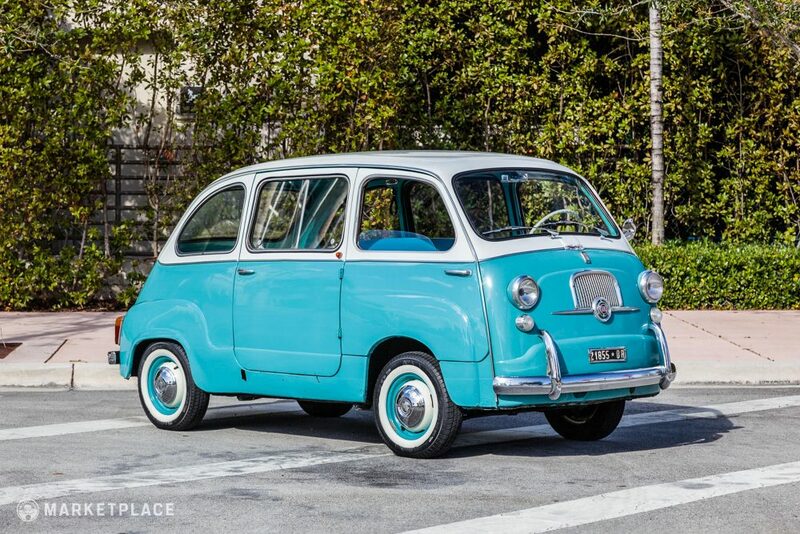 By 1956, Fiat introduced the Multipla variant, literally meaning “multiple.” Based on the standard 600, the Multipla received an all-new body construction to incorporate three rows of seating within the 139-inch footprint. 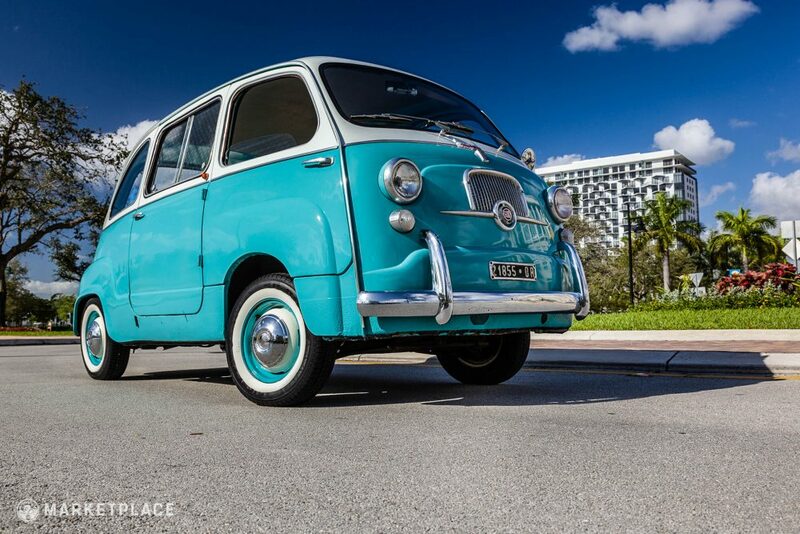 With a cab over the front axle configuration, the Multipla could seat six occupants, with the rear seats easily removable for truck-like hauling. 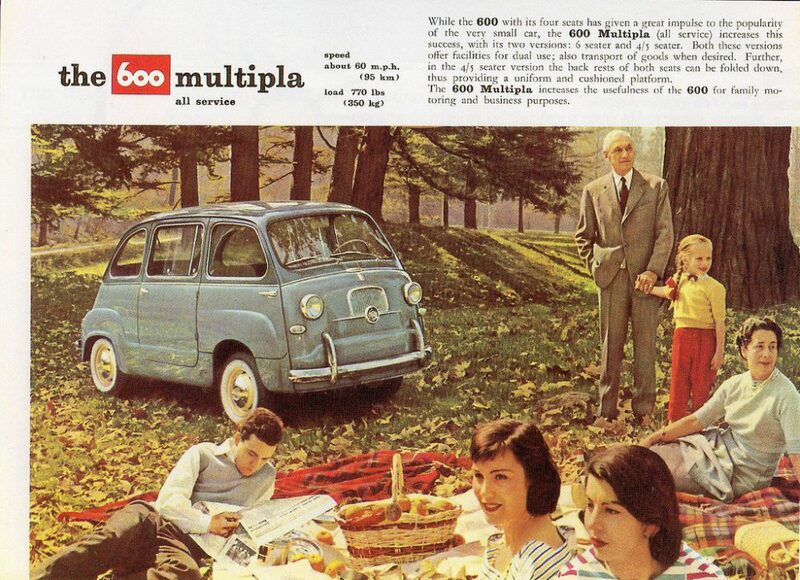 It’s fuel efficiency, inexpensive entry costs, reliability, and surprising utility made the 600 Multipla a popular family car, small business runabout, and taxi. 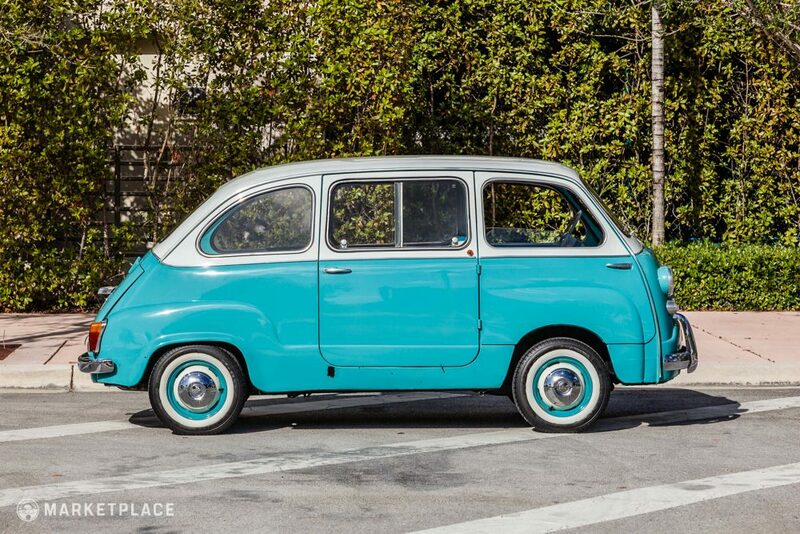 Still undeniably Italian, the 600 Multipla is a simple one-box shape more akin to a micro van than the compact car it’s based on. Offered in a variety of two-tone color combinations, the stylish shape has a tall greenhouse with paper-thin pillars providing excellent 360-degree visibility. 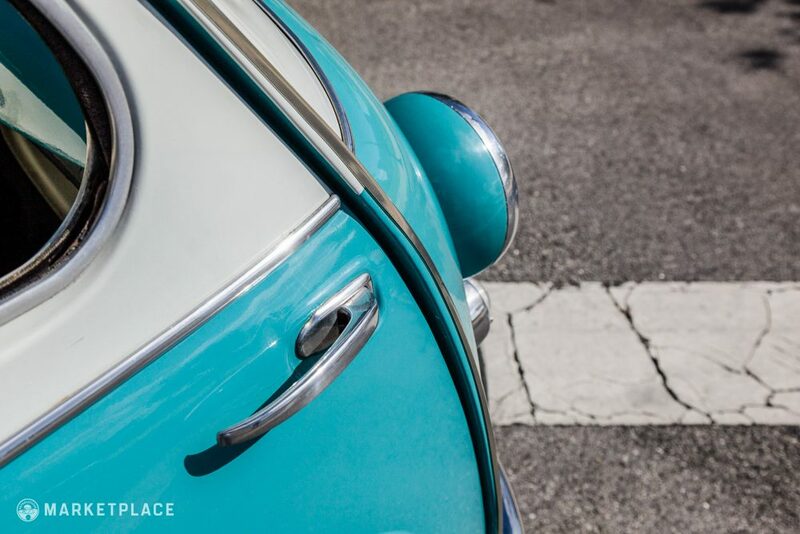 Like the BMC Mini, the Multipla’s body panels are joined with exterior protruding seams to save precious interior space, which creates a unique drip rail that starts at the base of the front fascia, goes up the A-pillars, across the entire roofline, and down the rear, ending just before the rear decklid. 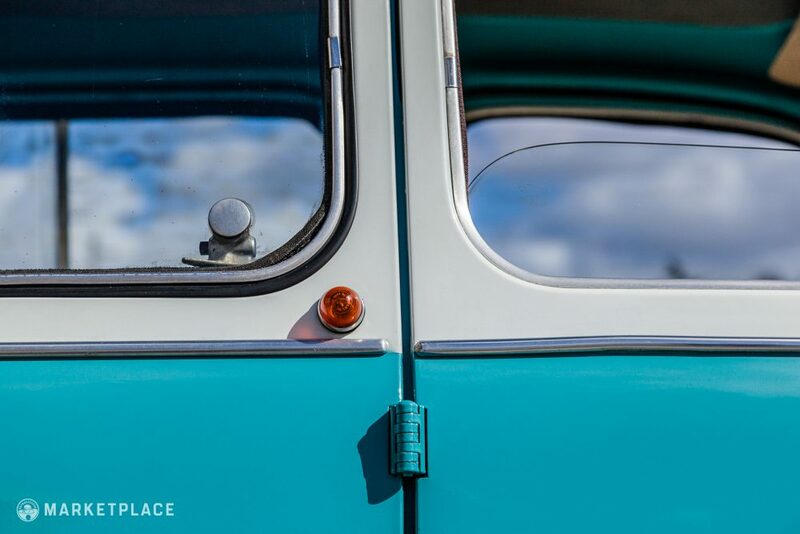 The profile is styled with prominent exaggerated fenders outlined in an unbroken bodyline that begins at the base of the forward doors, up over the front arches, down across the rear doors, back up over the rear arches, and down along the rear taillights. The forward rake shape of the body gives the stance an eager, playful demeanor, and features a louvered decklid, wrap around bumpers, and a polished front grille that doubles as an inlet for cabin ventilation. 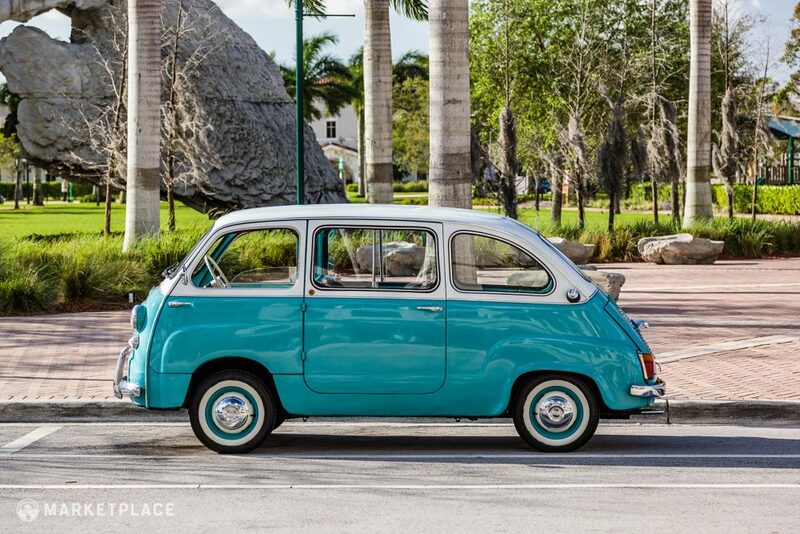 This 1962 Fiat 600 Multipla is a partially restored driver’s example that was directly imported from Italy into the United States approximately six years ago. 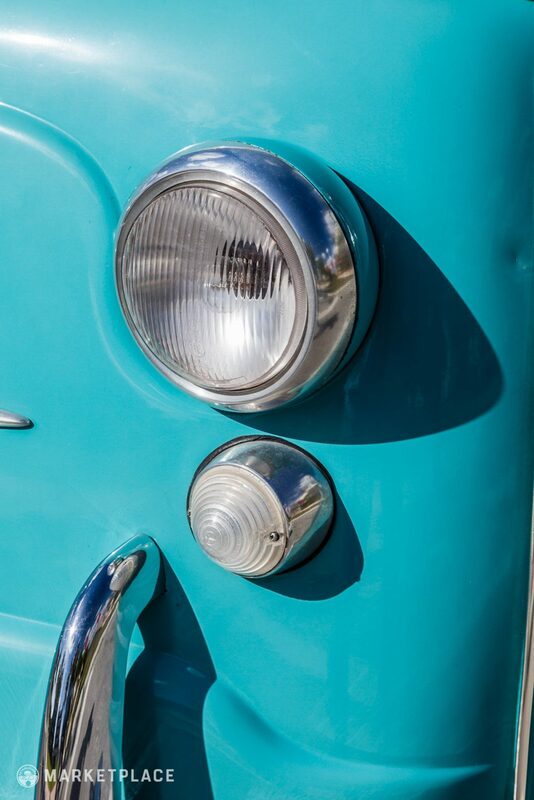 The body is entirely original, accident free, and bereft of corrosion. 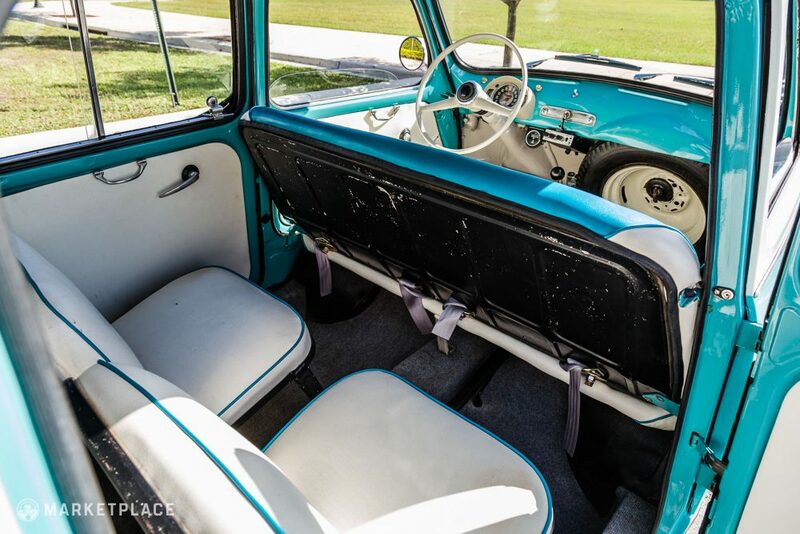 The body and interior retains all of its original hardware, including lighting equipment, glass, bumpers, trim, brightwork, instruments, steering wheel, and seats. The body wears an older factory-color respray that’s in fair condition today. 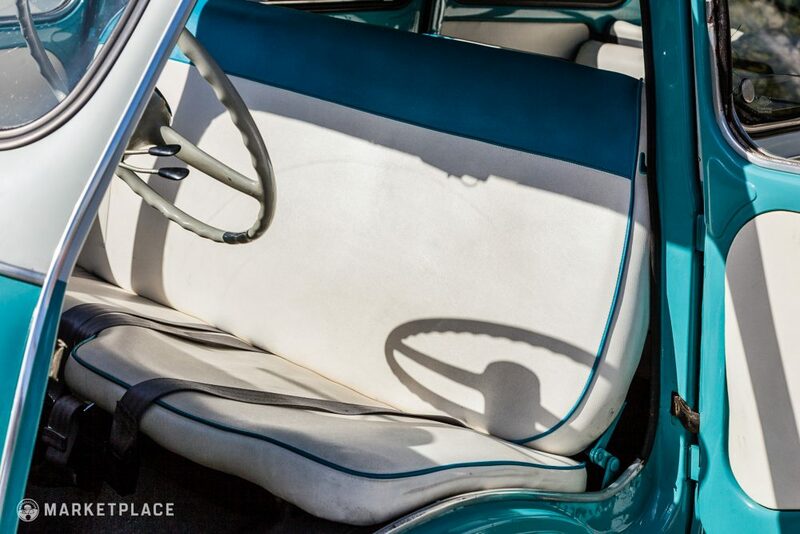 This car is equipped with the three-row independent six-passenger seating, versus the bench-style factory option. 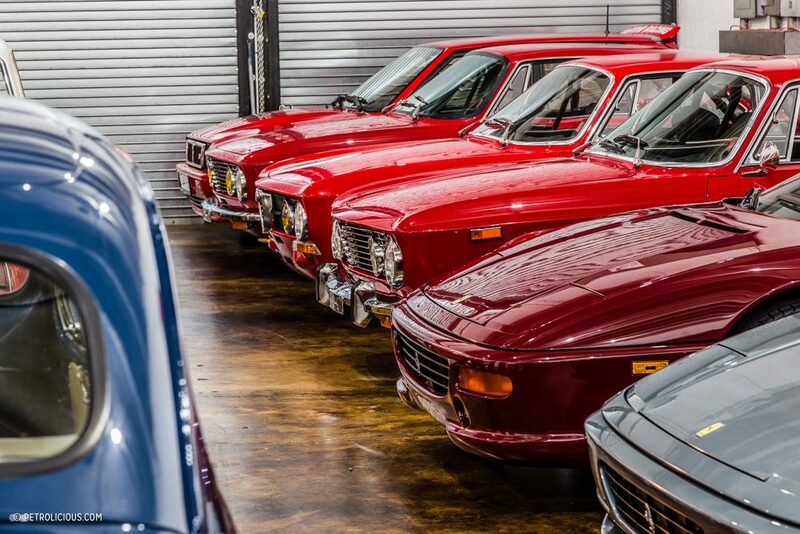 The current seller has owned the car for six years and had the Miami-based Alfa Romeo/Fiat specialists of Auto Veloce overhaul the powertrain. 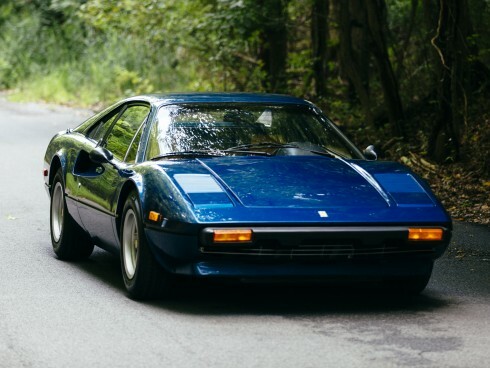 The 903-cc engine was bored 20 over, and was stuffed with high-compression pistons, larger cams, and an Abarth-style exhaust, all good for an estimated 55-60 horsepower that more than doubles the original output. Since the rebuild, the engine has been driven only about 30 miles. Paint – The paint is an older factory-color respray that presents in good overall condition with only minor stone chips and scuffs incurred from typical use. Trim and Glass – All glass is believed to be original and is in excellent condition. 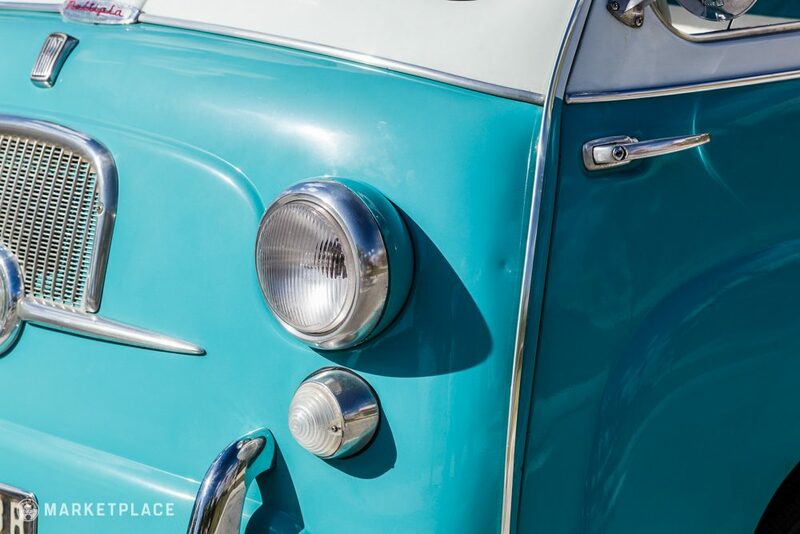 The trim and brightwork is complete with slight discoloration and light surface rust on the backside of the bumpers. The window trim has slight discoloration. 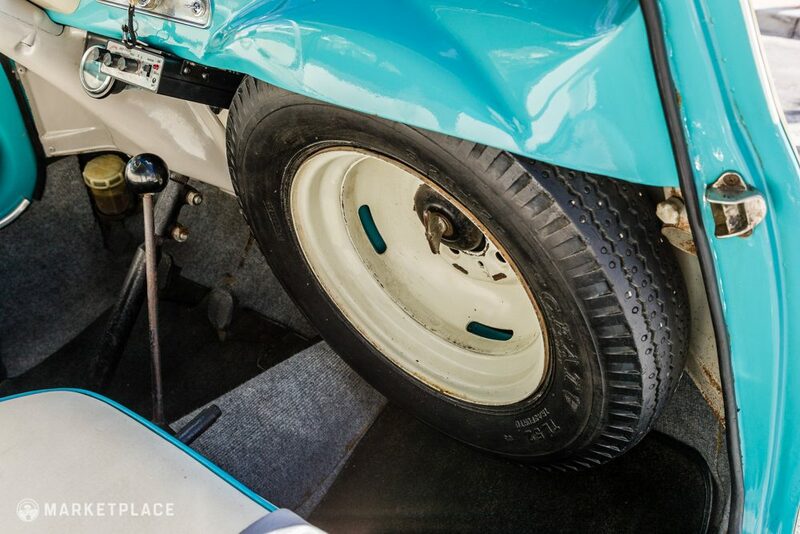 Wheels – The original two-tone white and blue color-matched steel wheels show some paint chipping and the center caps have some dings and slight pitting. 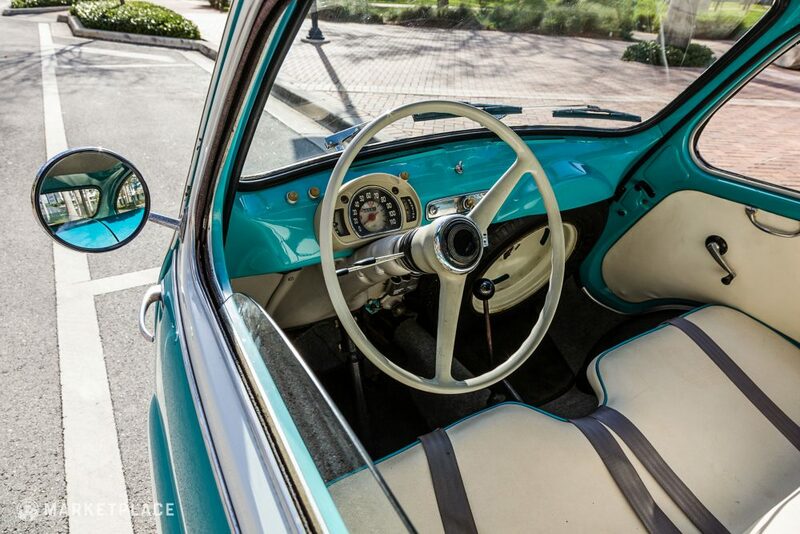 Signet brand whitewall tires are equipped, with good tread life remaining. 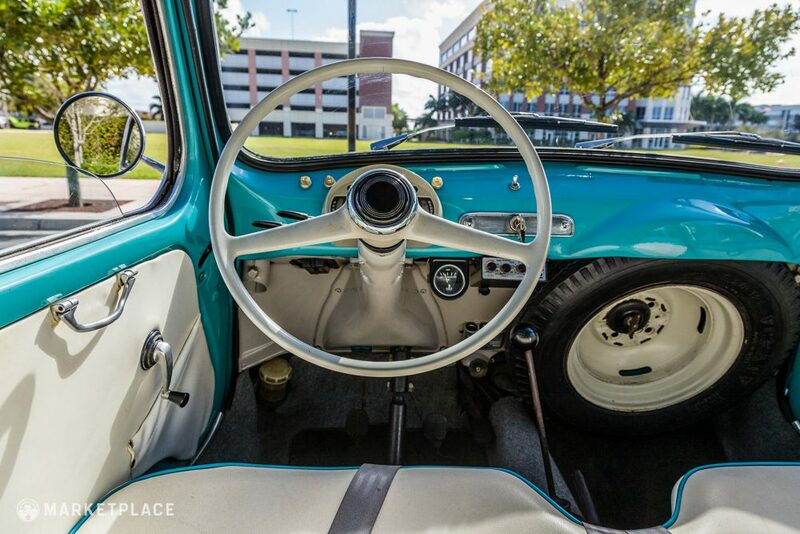 Steering Wheel – The original two-spoke steering wheel is in fair condition and is complete with the original center horn button. Dashboard & Instrumentation – The metal body color matched dashboard is complete with all factory switchgear with fully functional accessories. The original instrument cluster is in place and working properly. 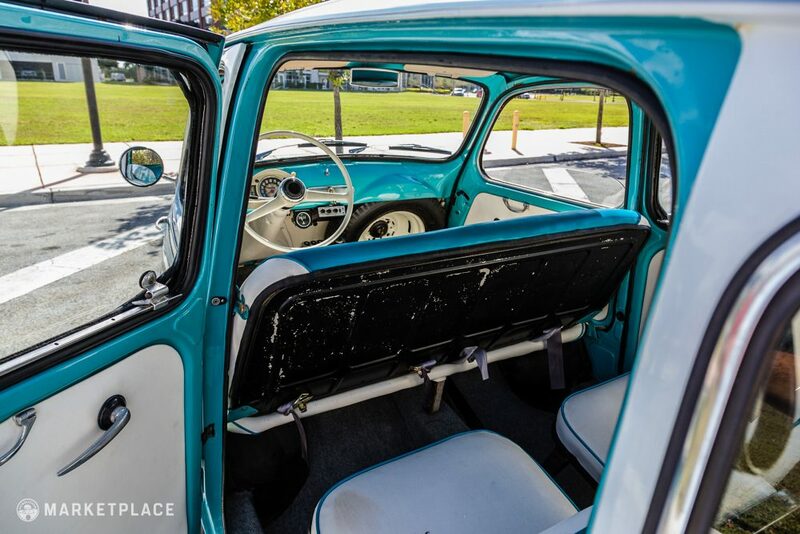 Seats, Trim, & Carpet – The off-white seat covers feature blue piping and are free of tears, rips, or seam separating. Door panels are complete with window winders and door release levers intact. The dark blue carpeting is relatively clean, but is showing its age. 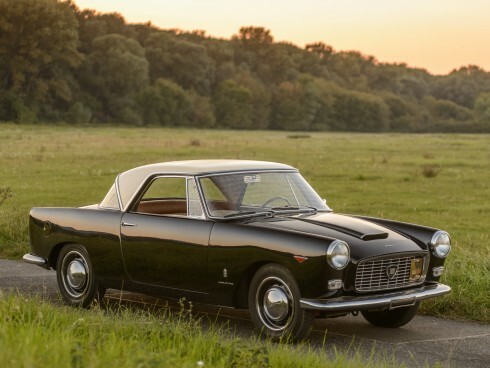 Engine – Recently rebuilt by Auto Veloce in Miami, Florida, the 903-cc inline-four cylinder engine has been bored 20 over for increased performance in addition to high-compression pistons, performance camshafts, and an Abarth style free-flow exhaust system. The engine delivers a sprightly 55-60 estimated horsepower, this almost doubled output helps with around town drivability compared to stock. 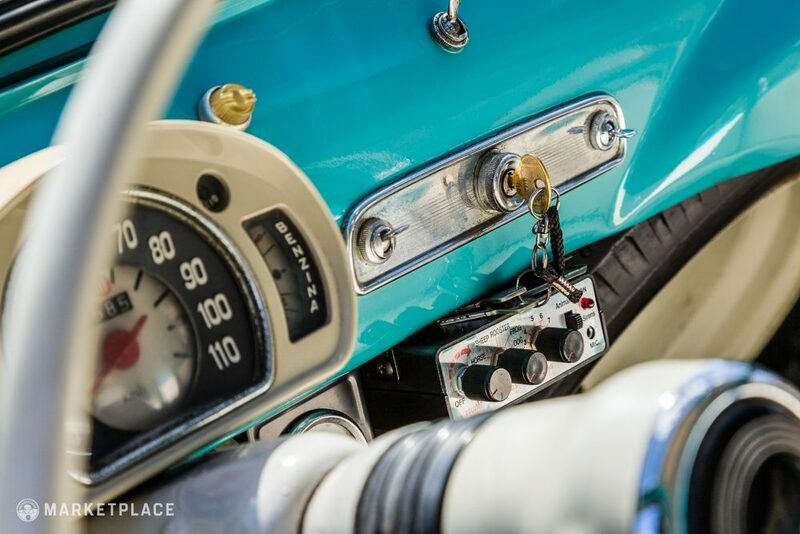 The Drive: The engine fires with ease, idles smoothly, and freely revs through all four gears with a modest hot-rodded power output that allows the car to keep up with modern day traffic. Transmission – The four-speed gearbox is a standard three-synchro unit with no first gear synchro. 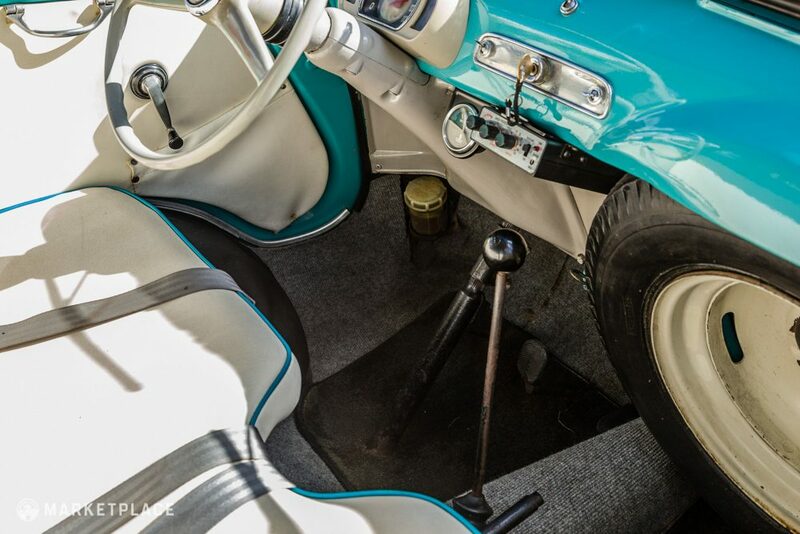 The Drive: The car engages gears with light, direct throws from the tall shift lever. There are no pop-out issues and the gearbox enters first gear easily despite the lack of synchro. Handling – This isn’t going to be a track weapon of course, but it’s still a car that you drive instead of the other way around. Easy to wheel around in tight city streets, a breeze to park, and an all-around pleasant driving experience make this car a treat. The Drive: The car brakes evenly and has a very tight turning radius. 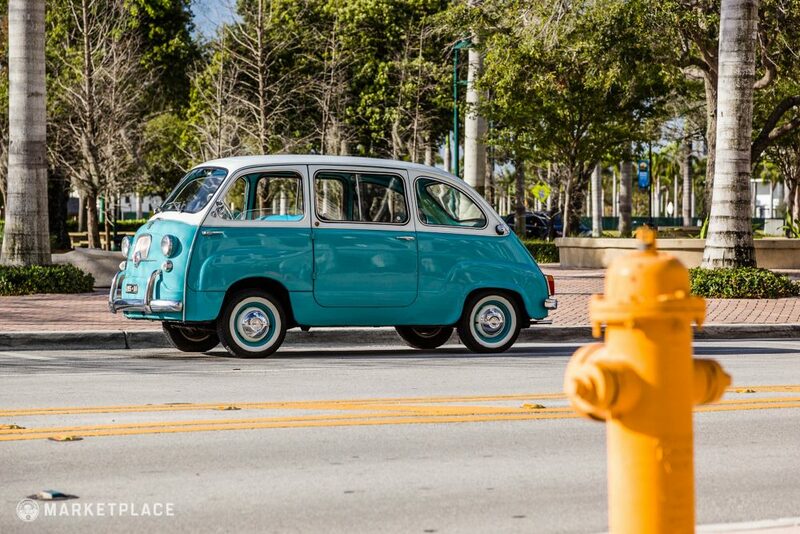 This 1962 Fiat 600 Multipla remains highly original in its physical presentation. 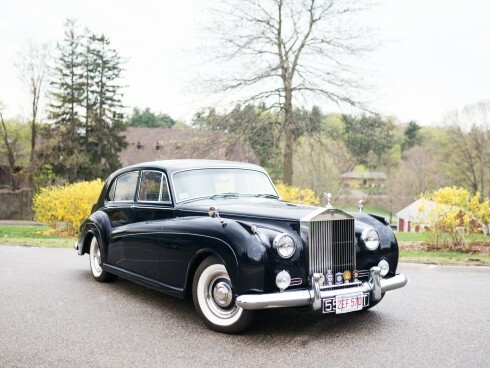 The body panels are believed to be all-original and the car wears an older factory-color respray—it is believed to have only been repainted once. 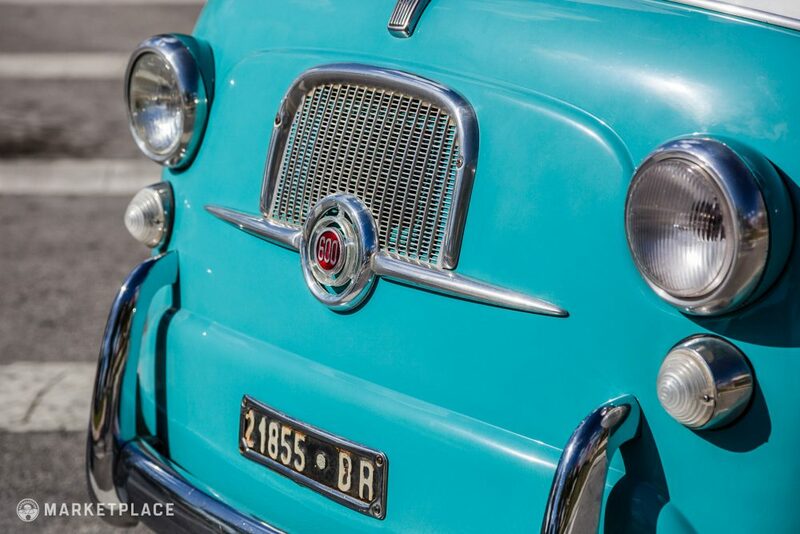 The trim, brightwork, glass, interior components, and lighting equipment are the correct Fiat parts and believed to be original to this car. Original looks in driver’s condition make this a compelling buy, but it’s under the louvered rear decklid where this Multipla mixes things up. 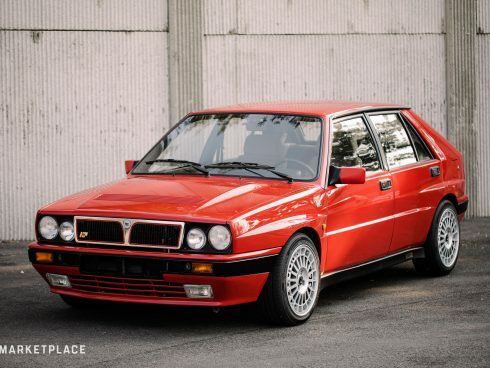 With more than twice the wheezy original power output, this slightly modified “big-bore” inline-four makes this car far easier to drive in modern traffic without any loss of reliability. 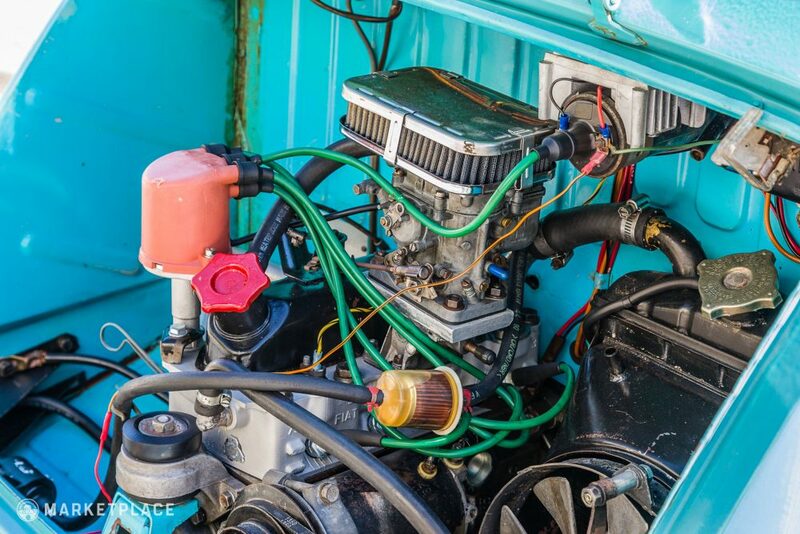 The original engine block is also included in the sale. 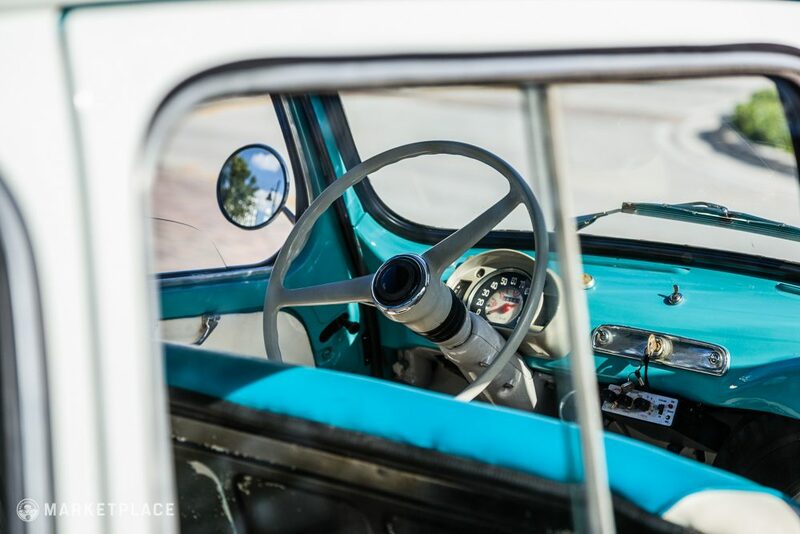 Included in the sale is the original spare (mounted in the front passenger footwell), toolkit, jack, and various documents from the recent engine rebuild. 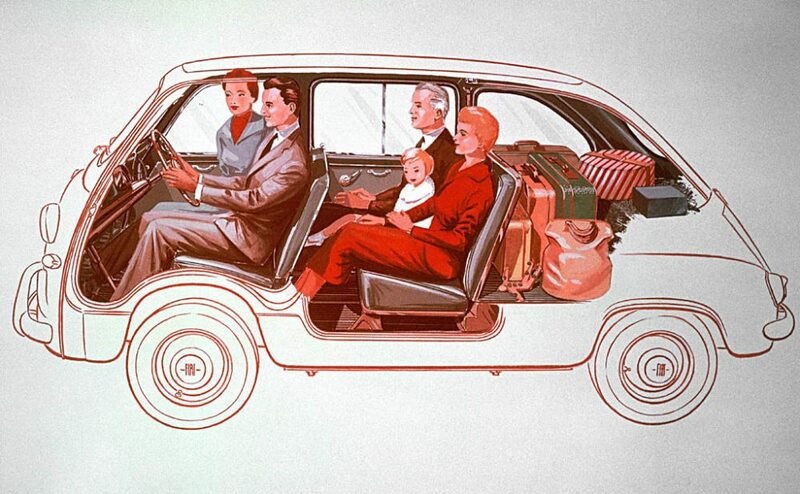 Fun For Six – Just imagine hauling the entire family to the movies in this. Better yet, pick up five friends on the way to the local Cars & Coffee for a clown car unloading that’s sure to bring smiles to all. 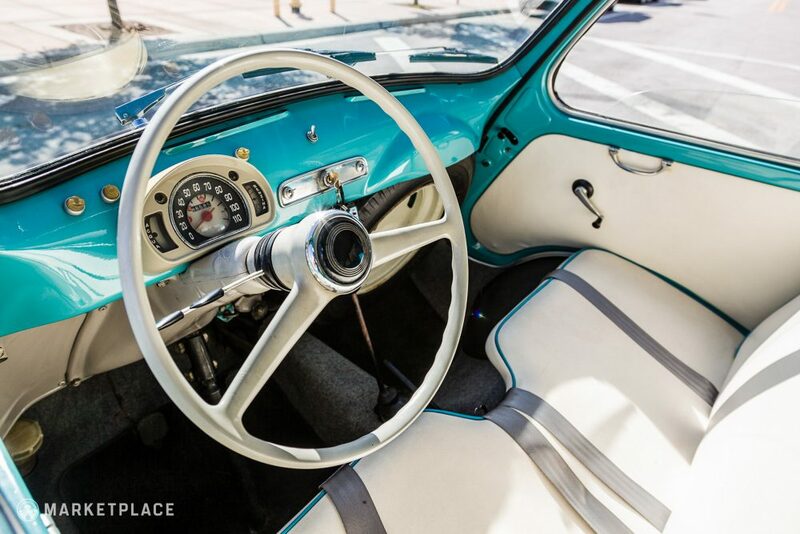 Savor The Open Road – No, it’s not the fastest microcar but it sure sports style in spades. 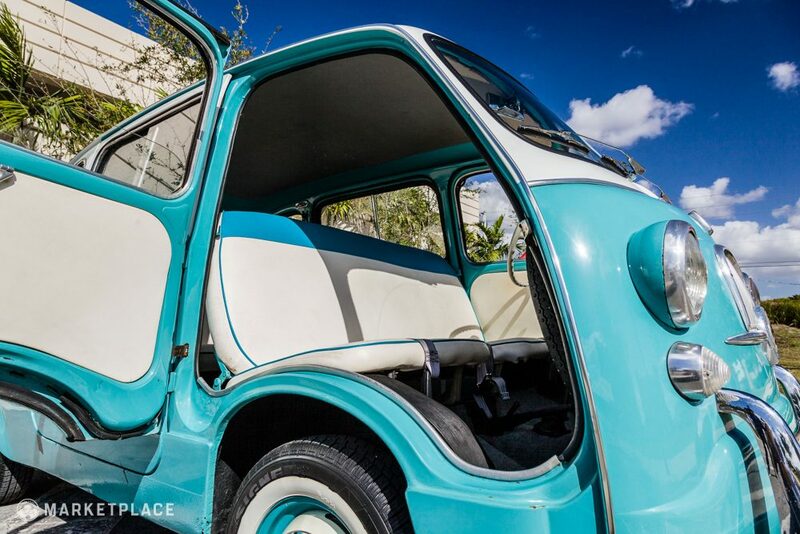 With an analog drive, unique styling, brilliant packaging, and sorted mechanicals, it’s a turnkey classic ready for city driving and errand running. 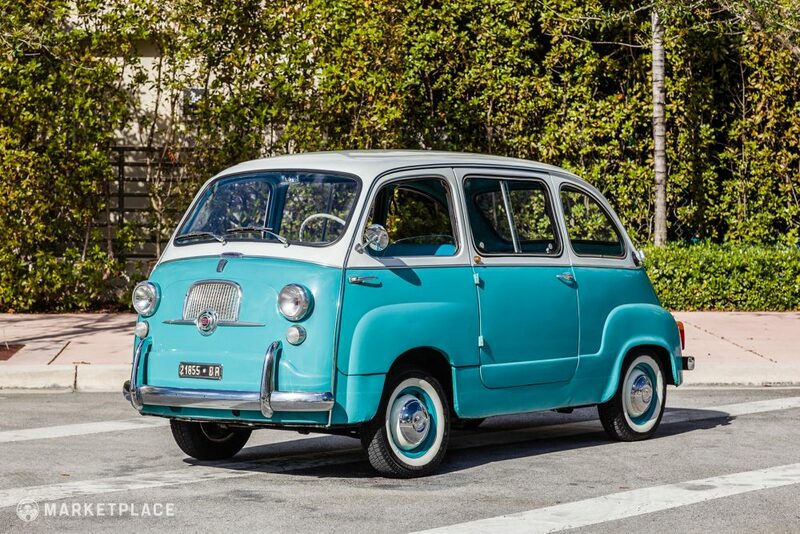 It might be slow, but compared to the average Multipla, this one is packing more than double the original power, making it a much more drivable machine. 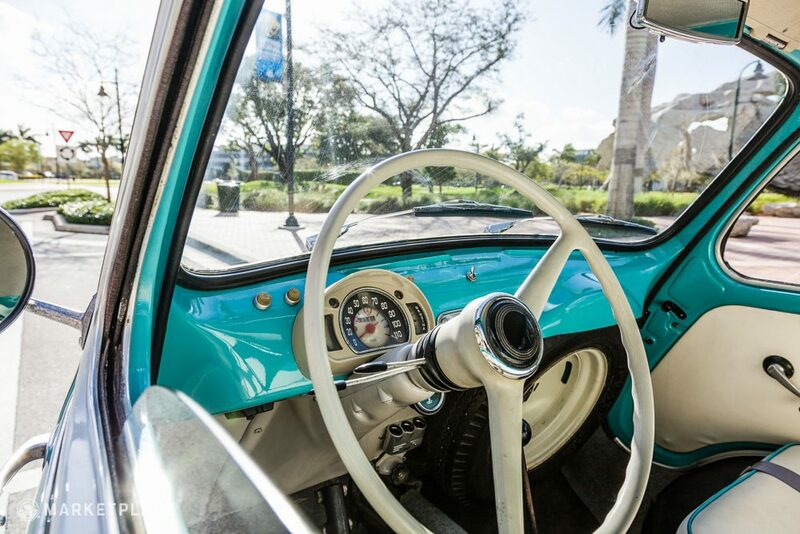 Ideal Driver’s Condition – This car is clean, inside and out. 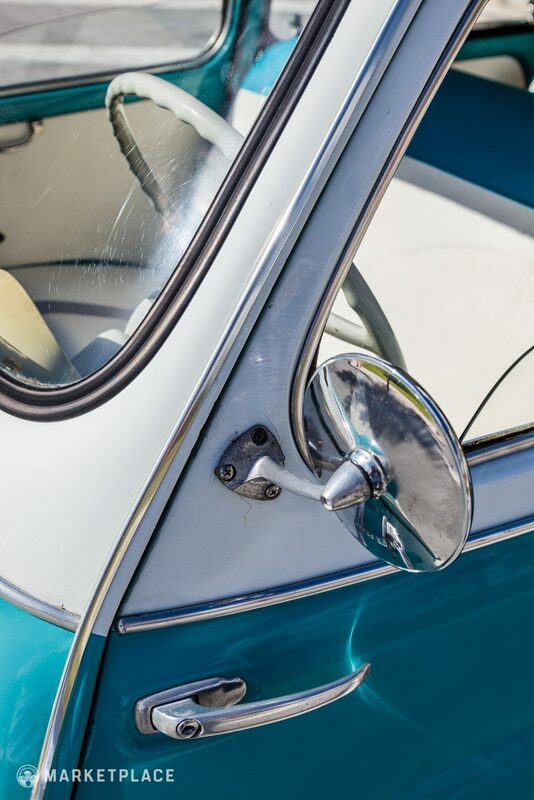 The older respray isn’t perfect but it’s in well-used but cared-for condition, which means you won’t sweat every stone chip and scuff you earn when out and about. Any nicer, and you’d be paranoid. 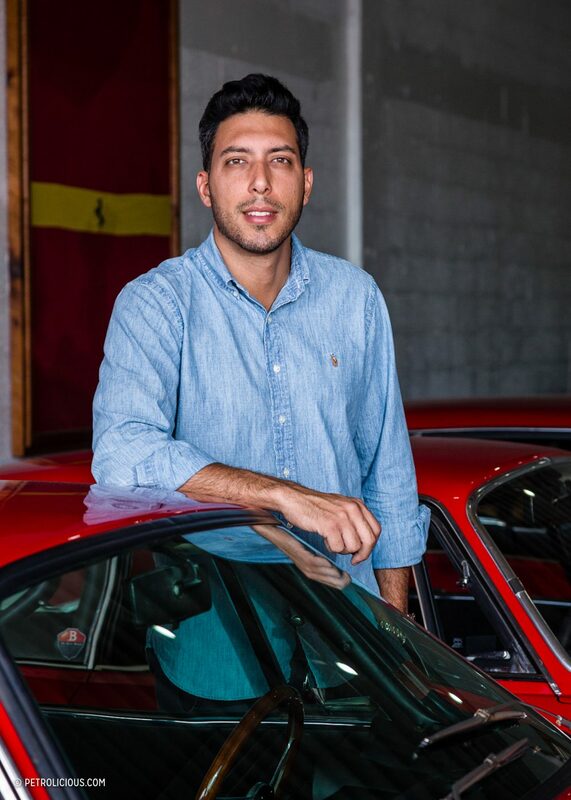 This car is for sale by Gaston Rossato. You can get to know him better here.